Do you like killing skeletons and seeing red numbers appear over their heads while they crumble into a pile of bones? Do you like maps made of blue rooms, red highlights, and white outlines that show interconnected areas? Do you like ascending clock towers? Then Nightkeep, from RPG2 Heaven, should be right up your vania. 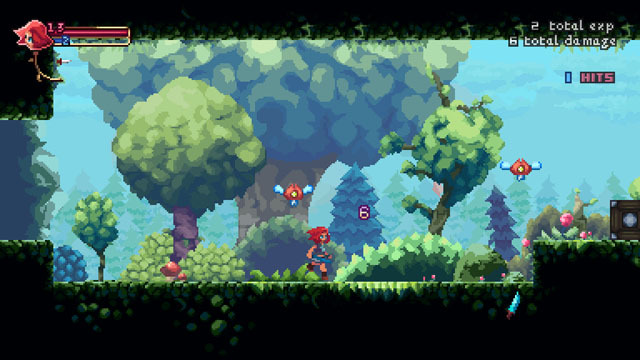 The game is an action adventure starring a young woman named Arietta who is armed with a magical sword that she uses to slash through hordes of monstrous creatures, and she also has access to a variety of throwing weapons straight outta the Belmont playbook, including knives and axes. Along the way, she discovers helpful items and relics that can boost her stats, as well as earning traditional metroidvania moves like a slide, double jump, and back dash that aid her in combat and allow her to reach new areas. The game is coming to PC via Steam but does not yet have an announced release date.